The United Way of St. Clair County is proud to announce a signature project with St. Clair County RESA and the Great Start Collaborative to provide registered in St. Clair County, between birth and 5 years old, a membership to Dolly Parton's Imagination Library. Imagination Library was started in 1996 by Dolly Parton. The program provides registered children with a new book each month; from the month of birth until their fifth birthday. Every 0 through 5-year-old child living in St. Clair County is eligible to register for Imagination Library. Once your child is enrolled, he or she will receive one book per month until his/her fifth birthday. Each child will receive the first book in the mail approximately 10-12 weeks after enrollment. The books children receive are specifically chosen by a panel of early childhood specialists and are determined by the Imagination Library Program. If you live in St. Clair County and have a child between the ages of 0 and 5 years old, you can call (810) 455-4015 or register online. The Imagination Library in St. Clair County is funded through St. Clair County RESA, United Way of St. Clair County, and other local donors. The program costs approximately $25 per child per year. That is just over $2 a book. 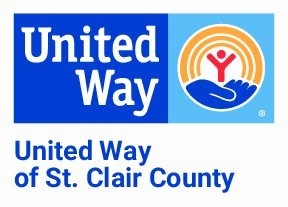 If you would like to help keep this program going and "Sponsor a Child" with a $25 donation through United Way of St. Clair County, please click here. Your donation will help bring literacy to the lives of children all over the county.